For more than 1,600 breast cancer survivors who received the chemotherapy drug Taxotere, permanent baldness, known as alopecia, is a constant, unwanted reminder of the illness they fought so hard against. It’s the reason that even after five years in remission, they are treated as “sick people” by strangers. It’s why they do not appear in pictures for years at a time, and it’s the reason they have to answer questions from their children about why other women get their hair back but their mom didn’t. Women who receive Taxotere to treat their breast cancer expect their hair to fall out — they prepare themselves for it. What they may not know to prepare for is never getting their hair back. 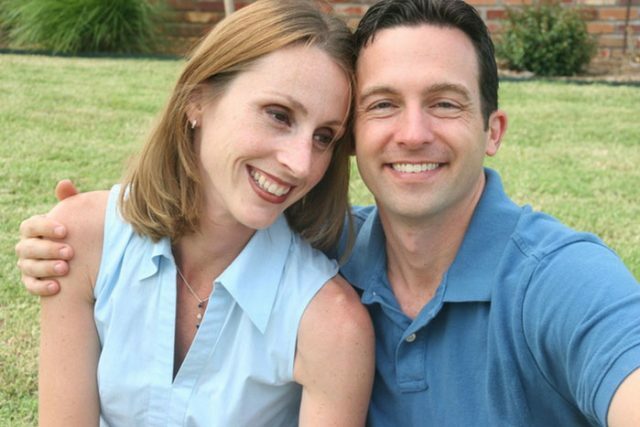 Dodson, now in her 40s, was diagnosed with a very aggressive, fast-growing tumor in 2010 at age 35. Doctors used the chemotherapy drug Taxotere to treat her cancer. Dodson was later diagnosed with permanent chemo-induced alopecia. There is currently no known cure. Taxotere is used to treat the majority of breast cancer cases in the U.S., but it is not the only drug of its type available. Patients may choose Taxotere because treatment with the drug is once every three weeks — unlike the similar drug Taxol (paclitaxel), which may be given weekly. What many women don’t know is that Taxotere has a higher rate of permanent hair loss than similar drugs on the market. Breast cancer survivors who were treated with Taxotere say they were never properly warned of the risk and could not make an informed choice. Had they known about Taxotere’s link to permanent hair loss, the women say they would have opted for another treatment. Breast cancer was actually Dodson’s second major cancer. When she was 20 years old, she had Hodgkin lymphoma, which doctors treated primarily with radiation. From the time she was 20, she was advised that there was a strong correlation between Hodgkin lymphoma and breast cancer, and that coupled with the radiation to her chest put her in a high-risk category for breast cancer. In 2010, Dodson turned 35 and decided that 36 would be as good as 35, and that there was no harm in waiting a year. She told herself she wasn’t going to get a mammogram. Dodson had one mammogram, followed by an ultrasound and a biopsy. Dodson quickly learned that she tested positive for the BRCA 2 genetic mutation, which meant an additional increased risk for ovarian cancer. At the time of her breast cancer diagnosis, Dodson’s son was 5 and her daughter was 2. Dodson was hoping to have a third pregnancy that year. Her oncologist strongly advised against it. Dodson said she was not as surprised by the breast cancer diagnosis as she thinks a lot of other women might be because she had already had cancer once. Dodson went through an enormous amount of radiation from her chin to her belly button to treat the Hodgkin lymphoma in 1995. So, when she was considering treatment options for her breast cancer 15 years later, she knew radiation was off the table. Dodson had a 1.8-centimeter tumor in her left breast, plus microscopic disease in two axillary lymph nodes. Her doctor recommended a mastectomy first, followed by six rounds of the chemotherapy drugs Taxotere and Cytoxan. After her first infusion of chemo but before her second, Dodson still had all her hair and was hopeful she would not lose it. But with just a week to go until her second treatment, Dodson was brushing her hair and realized it was falling out. She said she was scared and in disbelief. Dodson went through a day or two of her hair falling out, and then her husband helped her shave her head. For about five years, Dodson waited for her hair to grow back. Doctor after doctor told her to be patient and that everyone’s hair grows back at different rates. What angers Dodson the most about her situation is that it was avoidable. During treatment and for about a year afterward, Dodson wore long, flowy scarves to hide her baldness. She experimented with wigs, but didn’t care for them. 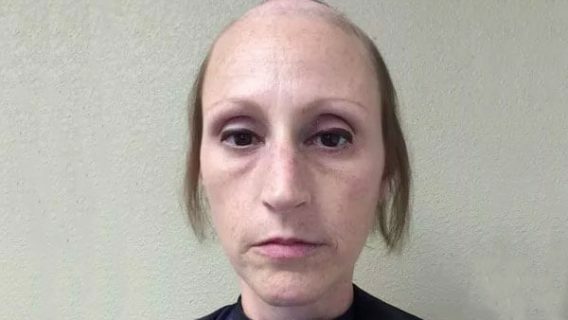 About a year after treatment, she stopped wearing head coverings because she thought her hair was going to come back. She refused to let anyone take her picture during that time. When Dodson realized her hair was not going to grow back, she started wearing wigs every day. This was in part because she was constantly being treated like a sick person, she said. Dodson’s daily struggles with alopecia are not limited to interactions with strangers. She has had several conversations about it with her children, who are now ages 9 and 12. Dodson wears what is known as a bonded topper: a wig that is specifically created to fit her head, and then attached using surgical-grade adhesive. Every other week, Dodson goes to a specialty clinic where trained professionals take the wig off, clean her scalp, wash everything and reattach the hair unit. The bond holds for about two weeks, and every four months the entire unit needs to be replaced. Because of the special nature of the wig and the extensive maintenance it requires, the costs are high. Permanent hair loss has dominated Dodson’s life — and it still does, she said. Dodson is one of more than a thousand women who have sued Sanofi over allegations that the company failed to adequately warn breast cancer patients that Taxotere causes permanent hair loss. More than 1,600 Taxotere lawsuits are pending in the Eastern District of Louisiana under what is known as a multidistrict litigation, or MDL. Four of those cases are expected to go to trial in 2019. Lawsuits say Sanofi-Aventis sold Taxotere without properly testing it, failed to determine whether the drug was safe and manufactured a dangerous drug. Plaintiffs also allege the company misled the public in advertising and marketing, downplayed the dangers associated with the drug and kept information from the public. 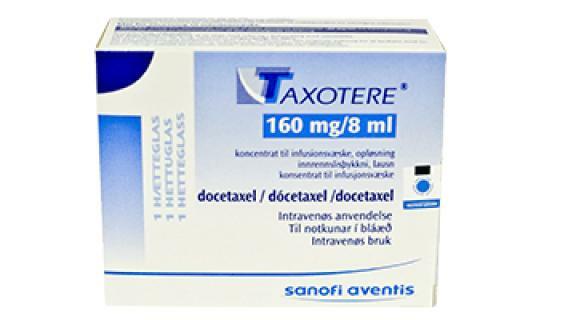 Perhaps the chief allegation is that Sanofi sold Taxotere without properly disclosing the dangers or risks to patients or health care professionals. Dodson serves on the board of directors for Bay Area Young Survivors, a support and action group for young women in the San Francisco Bay Area who are living with breast cancer. When deciding on a treatment plan, women should think long-term, Dodson said.